why you can’t seem to change your mind and do something different and each time you try,some unseen unstoppable force stops you? It is that deeper part of you, the subconscious part of your mind where all of our thoughts,behaviours and beliefs are formed. Our subconscious mind is the seat of our emotions and exerts the greater influence over our conscious mind. The subconscious minds role is primarily tasked to keep us safe.It is that fight ,flight or freeze reaction that happens in times of stress and trauma. Sometimes however the subconscious in its best efforts to protect us does not always work in our own best interests. As we relax down into sleep we all enter an 'in between state 'of consciousness where our breathing slows down and our heart rate slows down and our brain waves start to change from the normal beta state of waking consciousness into the alpha state, which is where most hypnotherapy is conducted. This in between state is known as the hypnodial state and this state between waking and sleeping is where we start to feel relaxed, loose and comfortable and is the state we all experience just before we go to sleep and when we just wake up. Whilst in this state we start to relax deeply and lose focus on our surroundings as we sink down into sleep or as in the case of when we awaken from sleep where we are somewhat disorientated as we start to come round. 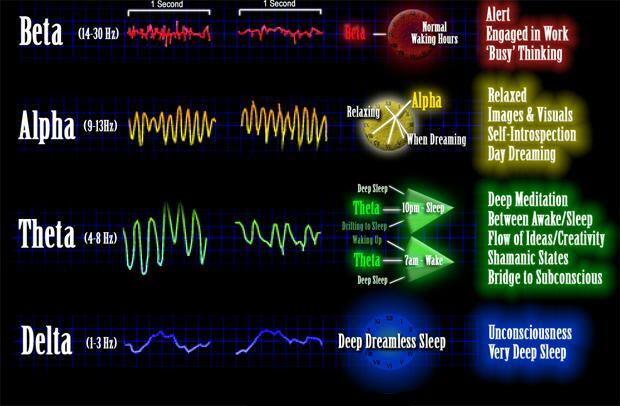 As we sleep we move between different brain wave states, but we are all used to entering hypnosis, each and everyone of us without thinking about it. The hypnotic state is one where the minds critical conscious faculty is temporarily bypassed and where the subconscious mind can be addressed with hypnotic suggestions without the conscious minds judgemental reasoning process getting in the way. If you asked most people about what their perceptions of hypnosis were they would probably say it’s about a person or persons been taken over by some evil arch nemesis and being bent against their will to do the villains biding. Nothing could be further from the truth. Hollywood has a lot to answer for! Hypnosis has been around in one form or another since ancient times, since before the ancient Greeks and Egyptians. Ancient tribal cultures used the village shaman to induce this altered state in tribal members. Throughout the centuries hypnosis did not have a word or description until in 1773 Anton Franz Mesmer appeared on the scene with his unorthodox healing methods of Mesmerism. Around this time a Scottish surgeon by the name of James Braid, noticing Mesmer’s work also started his own research into Hypnosis. James Braid was the first person to coin the term Hypnosis after seeing Mesmer’s work where a subject was induced into such a deep trance that a pin was forced beneath the finger nail with no re-action from the subject, such was the depth of trance and so Braid coined the term which comes from the Greek meaning sleep. Later Braid realised this was incorrect as when a subject is in Hypnosis they are not in sleep, they are in the in between day dream state and usually quite aware of what is going on around them. 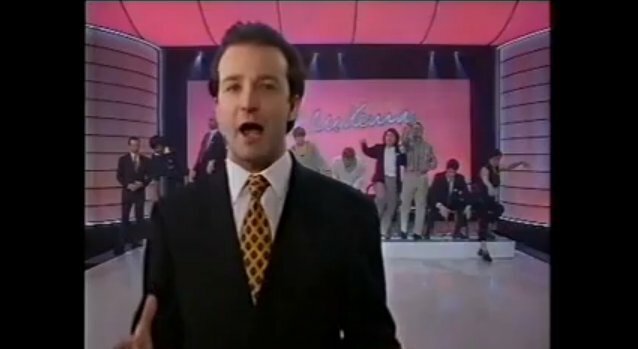 Once braid realised his mistake he wanted to rename the process as mono- idealism, which is the concentration of a single train of thought, but it was too late, the term hypnosis had caught on and has remained in the public psyche since Braid first coined the term. Hypnotherapy is the utilisation of various powerful and effective psychotherapy techniques when the client is guided into a deep relaxing and receptive state of hypnosis where the client's focus can be narrowed and directed by the hypnotherapist to create change at the subconscious level. Clinical Hypnosis or Hypnotherapy therefore, is the application of an altered state of consciousness, or hypnotic trance, for a beneficial therapeutic outcome. Hypnosis is the vehicle that is used with the client to help them to relax deeply and enter into hypnotic trance easily, facilitating an augmented level of receptivity where the beneficial therapy work is carried out, out of awareness of the client's conscious mind at the subconscious level. Getting the client into hypnosis effectively and working at the subconscious level is vital for effective change work to take place. It is the therapy which is the most important part of the work. Depending on the severity and nature of the clients issue being presented the hypnotherapist will decide which approach will be the best that will yield the most positive results.Hypnotherapists use a variety of therapeutic approaches including suggestion therapy, regression therapy and analytical therapy. When administered by a properly qualified therapy practitioner it is very safe indeed, which can allow for effective and often very rapid relief of numerous symptomatic issues. Hypnotherapy works with the power of the clients own mind accessing their own best inner resources for change using the client's own imagination for beneficial change with the help and guidance of the therapist acting as a facilitator. 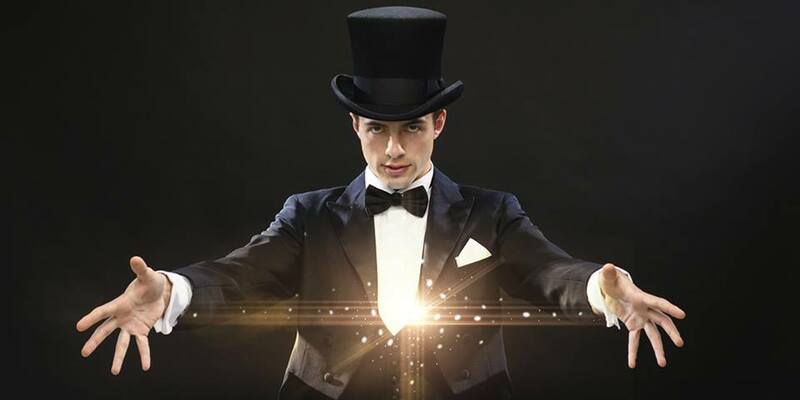 Hypnosis is NOT a magic wand or miracle cure that can instantaneously achieve goals or immediately wipe away all problems and dissolve all negative blocks and Hypnotherapists are NOT magicians. Hypnotherapy is not a magic cure all potion that is going to magic the clients problems away in just a matter of an hour or so and people who believe that really need to think about that expectation carefully before committing themselves to the process and end up with disappointment. There is an old saying amongst hypnotherapists which says "If you’re looking for a magician or magic wand you're in the wrong place, try the magicians supplies and joke store instead. " The journey of Therapy often takes time, particularly with complex dynamics involving sense of self and the interaction with relationships be they family, business or personal or compulsive addictions such as gambling, drink and substance abuse. If you want to create change you have to invest in your future and trust the process. Hypnotherapy is a very powerful tool that almost seems like magic to people who discover what it can do for them, because most people are simply unaware of the power of the mind and pretty much completely unaware of the power of the subconscious or unconscious mind and how it influences and controls human behaviour. In Suggestion therapy the client is guided down into the hypnotic state where the therapist then starts to work with the client at the subconscious level whilst the client is in an a very relaxed and receptive state of mind and one where their focus is narrowed and directed to the therapist's words. Clients may or may not be aware of everything the therapist is saying as they drift in and out of deep relaxation. Suggestion hypnotherapy can be very effective over a wide range of issues such as helping with anxiety,anger, confidence, fears , phobias, performance improvement, smoking, weight for example. What is Analytical and Regression therapy? Whilst most form of Hypnotherapy is Solution Focused these days. Analytical and regression to cause therapy usually referred to as Hypnoanalysis can often be a very useful therapy tool used to help clients get to the root cause of the problem and work with past issues. This form of therapy is a very advanced skilled level of therapy. One could almost consider Hypnoanalysis as like peeling away layers of an onion skin to get to the root cause issue and work with it before moving on. Hypnoanalysis can be helpful for dealing with persistent problems such a fears and phobias, panic attacks, Abuse, Self esteem, Psycho sexual issues and much more. If you have never experienced hypnosis at all and are wondering what it feels like, this brief explanation will give you an idea of what to expect. There really is actually no such defining thing as a ‘hypnotised feeling’ The closest association that you could make with hypnosis is that it is a bit like daydreaming or falling asleep in the chair with the TV on, where you aware not aware of the sounds and what is going on around you. Many people who have had hypnosis say that the experience of hypnosis feels very pleasant and relaxing. When a person is in hypnosis the therapist works to help the client temporarily bypass the conscious, rational part of the brain, making the subconscious part of the mind which influences mental and physical functions, receptive to therapy. Everyone experiences hypnosis differently and each person ultimately decides whether they wish to enter into hypnosis if at all in the first instant. Most people imagine that they will be zombie like and not aware of anything at all, but that is a completely false assumption. In hypnosis with the therapist’s direction, the client's focus is narrowed to pay attention to the hypnotherapist’s voice because it is the therapist’s voice which is of importance along with the quality of the suggestions. The depth of trance which a client can access is all down to the work being carried out. During clinical hypnosis a client is usually guided into the lower Alpha states or further down into the upper and middle reaches of Theta. These are functions of brain wave activity. The state that is used is dependent upon the work required and so for example, the client may be guided into a ‘lighter trance state’ of perhaps the middle Alpha range where two way interactions are required or down to the middle reaches of Theta for deeper suggestion work where there is no requirement for the client to respond or react in anyway. For surgical processes where operations etc could be carried, out it is essential to take the patient down to the somnambulistic state where conscious awareness is completely disengaged. Even people who have high internal resistance and who really want to undergo hypnosis but who find it difficult to trust in the process can be helped. Resistance is something which all good therapists are taught how to handle and how to help clients overcome a state of resistive state of mind. Most people respond to hypnotherapy treatment very well indeed. There are no difficult complicated skills required from the client. 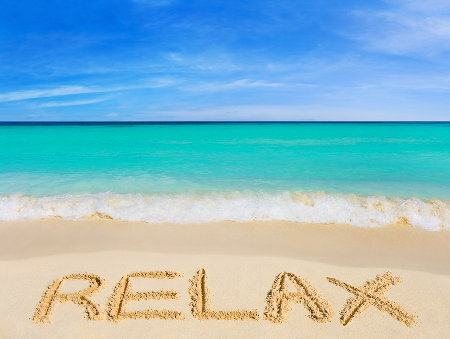 Simply all you have to do is just relax and follow some simple suggestions from your therapist! Hypnosis is a very gentle, very effective and with one or two medical exceptions, completely safe process. It is in fact a completely natural state which every single human being enters into every day, numerous times and automatically. It is drug free and with no unpleasant side effects. Will I be aware of everything said in a session? Being in hypnosis is usually a very gentle relaxing experience. You are normally aware of everything that is going on around you, and you may experience a pleasant warm tingling feeling. Some people report being unable to move any part of their body, but it is never any cause for concern. Any sounds from inside the room or outside the room fade into the distance as your conscious mind is guided to relax down into hypnosis where the subconscious mind is alert and listening and is guided to focus upon the sound of the therapist’s voice. Because your conscious mind is temporarily placed to one side, you may well find that you remember certain words but for the most part you may be unable to recall anything in any real detail except for the sound of the hypnotherapist’s voice. No, absolutely not, as your therapist Trevor works in a highly ethical way, at all times ensuring good ethical safe practice always. An induced state of hypnosis is a relatively easy state to create because it is something we experience so naturally, however, two things are important to know here, It is not just in inducing the state of hypnosis that is the most important part of hypnotherapy, it is the therapy administered whilst the client is in hypnosis that is the most important part and it is only as effective as the skill and understanding of the therapist that counts. The second thing to understand is that many people fear losing control and a good therapist will be explaining how the client remains in control of the process at all times. The client is always the one who is in control. It is extremely important that a client maintains control of their own volition at all times. A client only enters hypnosis voluntarily. The therapist works with you to create long term change in thought, behaviour, beliefs and emotions at the subconscious level. Hypnotherapy: what are the benefits and how can it help me? 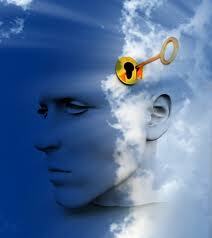 Before we take a look at what the benefits of hypnotherapy are, lets just take a brief look at the subconscious mind. Understanding the importance of the subconscious mind and understanding a little of how it works will give you a valuable insight into understanding why hypnosis is such a powerful tool for personal development. 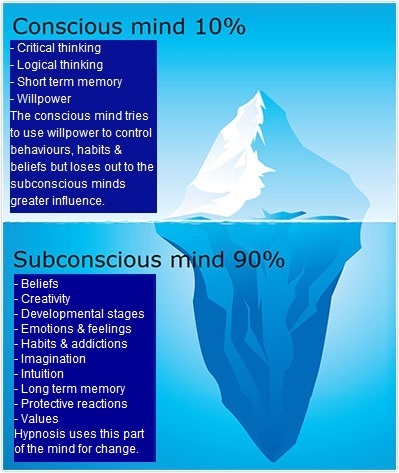 Our minds are like icebergs, so much of our mind is hidden and unseen and it is the subconscious mind and not the conscious mind which stores everything. Our conscious mind is judgemental, fallible and prone to forgetting things, but the subconscious mind does not. The subconscious mind is non judgemental and accepts everything as it is. Everything is stored there. The subconscious literally accounts for who we are. The subconscious is a link to the storeroom of our minds and every memory we have is stored there and stored by association. Some of these memories are easy to retrieve consciously whilst others may be repressed for one reason or another and quite hard to retrieve. You could consider the subconscious as a hard drive which can be programmed or reprogrammed. Our subconscious mind is constantly writing our individual unique programmes from the moment we are born through our daily experiences and our emotional reactions to them which dictates our conscious and unconscious behaviours. Everything that has ever happened to us is all stored there in the subconscious mind and defines our self talk, our self beliefs and behaviours about what is and what is not possible and who we are. Our subconscious mind is responsible for all the fears, anxieties, neurosis, behavioural traits and habits through life long conditioning that can often get in the way of how we want to live our lives. The Conscious and the unconscious mind can often work against one another. The unconscious mind is the place where all thinking and behavioural traits are formed whether for good or bad and so fears, phobias, bad habits and negative self belief systems can be formed in the subconscious mind as well as all of our positive traits. For example a quiet and gentle young child who has a bullying aggressive parent that continually tells them that they are stupid and will never amount to much will eventually come to believe what they are continually being told... and their lives may well take that direction unless they are of a particularly strong resilient personality with huge self belief. For the person who is stuck but makes a decision to change the course of their life there is hope and this is where hypnotherapy can be used to help build a new belief structure, through suggestion therapy. The results may take time, but the most important thing is that person has made a new choice that things can be different and decides to take decisive action to change the course of their lives. The subconscious mind, as it forms who we are can be reprogrammed like a hard drive on your pc and can be reprogrammed to accept new suggestions, which is why Hypnosis is such a valuable and useful tool in helping re-frame limiting belief patterns with something new and better.The beauty of Hypnotic suggestion is that it works at the subconscious level, where all thinking and beliefs are formed and shaped, made up out of all of our life long experiences. Through the intervention of Hypnosis,Hypnotherapy is used to bring about transformative positive life improving changes leading you to a much better quality of life. Hypnosis can be used to peel away and dissolve layers of emotional trauma, neurosis or limiting beliefs that have kept you stuck in unhappy circumstances,sometimes for years and years, through re visiting those often repressed and hidden memories, and bringing them back to the surface where the therapist can help overturn and heal the trauma of the original event. 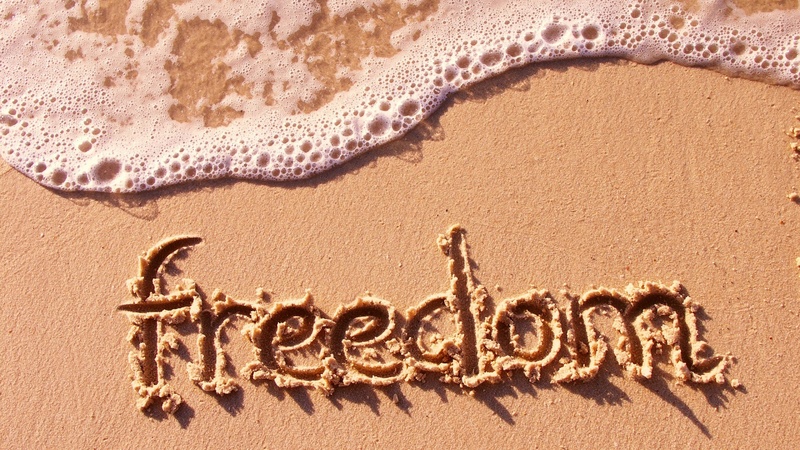 Hypnosis can also be successfully used to help remove limiting blocks that are preventing you from achieving your true potential and realising your greatest ambitions. It is particularly good for improving memory, learning and creative potential. With hypnosis it is entirely possible to reshape and mould your belief system into something new dynamic and exciting; giving you a new window on the world of what is possible. Using a combination of hypnosis and therapy it is used to help you in replacing old unhelpful thinking and behaviour patterns, habits or limiting belief systems, with new much improved more positive beliefs. Hypnotherapy can be used to make improvements to sporting performance, Improve confidence, Eradicate fears & phobias, quit smoking, lose weight and much more. Can Hypnosis make you do something you wouldn't ordinarily do ? Well yes that is entirely the whole point of hypnosis. Most people are suggestible and most people can accept hypnotic suggestion either direct or indirect suggestion.Almost every person can accept hypnotic suggestion and hypnosis can be used to change behaviour and make us do something we would not ordinarily do.Fully trained and registered hypnotherapists work with clients requirements and needs in an ethical way that is only congruent with their client’s deepest wishes and for the client’s sake and not the hypnotherapist’s sake and always for the clients benefit and well being. When people come to see a hypnotherapist it’s usually because they’re stuck and they can’t get to where they want to be using the power of conscious thought alone because the subconscious which governs all of our thinking and behaviour is usually running a different programme in the background from the one our conscious minds want. So yes, hypnosis can make you do something you wouldn't ordinarily be able to do.That is what we help you to achieve as therapists, permanent change. As hypnotherapists,we help people make changes to their belief systems to enable them to do that something that they wouldn't ordinarily do. We make suggestions to the subconscious mind which change the clients frame of reference to give them a new belief system. 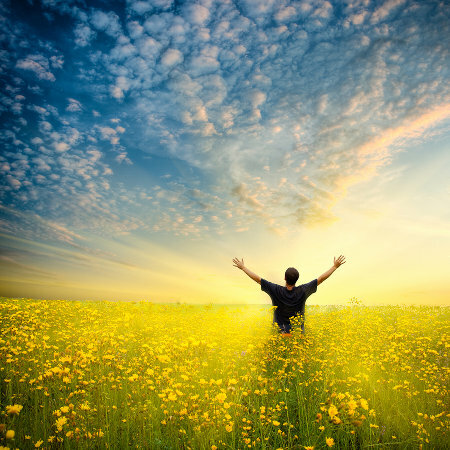 It is entirely possible that hypnosis can be used to get you to do something you would not ordinarily do and that is so exciting when the client resolves their problem and opens the doorway to a whole new happier way of life. However it is important to state that although hypnosis can be used for a very wide variety of different things it would be highly unlikely to be used by an ethical practitioner who belongs to a professional body and who adheres to that bodies code of ethics to use hypnosis to make you do something that is counter-productive to your moral code of conduct and something that you would not ordinarily do. Indeed, it would be probably most difficult for a hypnotherapist to do this because your subconscious would sense that something is being done which is against your very moral fabric and it would be rejected and you would most likely immediately terminate the hypnosis session as you return to full waking consciousness and probably very angry too. At a very deep and manipulative level it is entirely possible using repeated hypnotic inductions and brainwashing techniques to persuade and cajole the subconscious into doing something it would not do, because it is possible to reprogram the subconscious mind to do practically anything , hence the Manchurian Candidate scenario, but this is deep and dark covert brainwashing and has little bearing on ethical hypnotherapy. Hypnosis takes place in a trance state where the subconscious mind is open to accepting suggestion. Guiding the person into In an appropriate hypnotic state relevant to the therapy work, therapeutic hypnotic suggestions and interactions can be made directly to and with the subconscious part of the person's mind, bypassing the person's normally fully aware waking state, "critical conscious logical reasoning mind" where a person's doubts, fears, core beliefs and issues can get in the way and slow things down or even hijack and prevent those changes they seek to make from happening.This hypnotic state is invoked because it is the most efficient way of working to create far more effective change in thinking feeling and behaviours that can become permanent than is possible at the conscious level. Interactions may well be simple suggestion work made directly to the person in hypnosis or Regression to Cause work, Free Association work, Parts integration work, Inner Child Work etc which all use light trance and require conversational hypnosis techniques to be used. What do I as a client need to do to get the best from hypnosis? Hypnosis does not require some amazing feat of superhard concentration..... All you need to do is simply be open to the possibilities of change,beleive that it is possible to change the way you can think ,feel and behave.If you can have that mindset then all you need to do is to simply listen and act on the instructions you are given. Be committed and be patient and understand that you need to be kind on yourself and make allowances that the changes will come in there own time just as soon as you are ready. If it only takes a few sessions no doubt you will very pleased with such rapid change,however, sometimes it may well take more than a few sessions.....One thing is certain is that hypnotherapy can help you make those changes far faster than struggling on your own where the doubts fears and internal tug of war takes place as that subconscious 90% influence over your emotions always wins. In the hypnotic trance state,appropriate suggestions can be made directly to the subconscious mind that will be accepted by the person's subconscious,(A) as long as they are in alignment with the clients wishes and in their best interests and that they are in complete alignment with their own moral code and (B) the suggestions or change work can become permanent over a significantly shorter period of time than working at the "aware awake fully conscious level" where as mentioned above our doubts and fears can get in the way to hijack the process. Since the subconscious does not have the capacity for rational reasoning thought and is primarily tasked with survival, self protection and fight,flight or freeze it is non judgemental and will accept any suggestion that is put to it that the person desires that fulfils the above criteria. Hypnotic suggestion starts to take effect immediately and becomes stronger and more permanent over time.You can think of the lasting effects of hypnotherapy as growing fast growing seeds.They will still need time to germinate and take root and grow but everything happens at a much faster rate. With regular coaching and use hypnotherapy because of its efficiency and the way that it works in bypassing the critical conscious faculty of our minds can develop into permanent changes in thinking, feeling, beliefs and behaviour relevant to the presenting issue. Just hypnotising a person and making a few random positive suggestions in itself is not enough. The specialist skill comes from the art of understanding therapeutic intervention through the use of correct hypnotic language structure and hypnotic conventional patterns. The use of metaphoric stories can be also incredibly relevant and powerful to solicit inner change in a client. When considering our human condition and the make up of who we are with our issues and problems a good way to look at problem solving is from the perspective of gently peeling away the layers of an onion skin and to work with each successive layer until the healing or change in feeling and behaviour is achieved. This is a question which most people will want to know the answer to. By and large yes.it is.Hypnotherapy, in the hands of a skilled,properly trained and qualified practitioner is very safe and it is especially important that the practitioner you choose is indeed properly trained,qualified and belongs to a professional governing body and has some form of public liability insurance. It is also important that the practitioner you choose has regular supervision from a peer group supervisor to ensure that their own boundaries are established and in place as far as workload is concerned and that they are ensuring they are meeting their own health and wellness needs so that they are in a fit state of mind to be able to help you the client. In my opinion this is a question that every potential client should ask as it gives you a vitally important place to start in having peace of mind and a comfort level that you are dealing with a professional who takes all aspects of health and wellness into consideration including their own. Hypnosis in the hands of a skilled professional is completely safe and it is drug free. Hypnosis is a natural way of providing you with a solution to help you to go beyond those limits and boundaries that may be holding you back and help yourself to make those positive lasting changes at the subconscious level where all thinking and behaviour patterns start. Not many people realise it, but all hypnosis is in fact self hypnosis and the role of the therapist is to help facilitate positive change by choosing the right words for the creation of a carefully worded hypnosis script that will bring about the desired results, because the right words correctly delivered, do indeed have a power and potency that can bring about profound transformational changes in thinking and behaviour. Its almost magic! 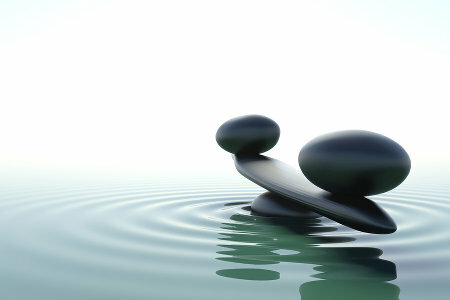 Most qualified hypnotherapy practitioners are members of the a recognised professional hypnotherapy body and the CNHC. The CNHC was set up with government support to protect the public by providing a UK voluntary register of complementary therapists. The question is hypnotherapy safe? is rather like asking are cars safe? Cars are intrinsically safe and have a very good safety record as long as they are properly maintained,but the safety of the car barring mechanical failure is only as good as the competency of the person driving the car. As mentioned above finding a fully qualified good practitioner who meets your requirements is a must as it gives you that additional element of comfort. Hypnotherapy often delivers fast results that are transformative and permanent much to the delight of the client and you the client are always in control. Hypnotherapy is a very safe, helpful and versatile therapy too which can be effective to treat a wide variety of conditions and problems and to bring about major improvements in state of mind, general well being and performance. There are a large variety of conditions where hypnotherapy is both fitting and highly effective, issues such as anxieties,asthma, eczema, fears, phobias, psoriasis and irritable bowel syndrome being just some, Indeed the NHS has even recognised that Hypnosis is effective in the treatment of IBS. It is appropriate to stress that a client’s own attitude and commitment to the therapeutic process is important in determining if the outcome is a success or failure.Things that can affect how a client takes to hypnosis or not are generally very rare and most people happily go into hypnosis and even really enjoy the additional benefit of the peaceful and relaxed calming aspects of the experience.Where the issue of fear comes up it is usually around questions of the client losing control and reassurances are needed that the client is in a safe place in the therapy process and always the one who is in control at all times. Whilst hypnotherapy is generally a very safe experience with an excellent track record ,rarely there is the occasional situation where hypnosis can arouse powerful deep emotional feelings with some people which limit the persons ability to engage fully with therapy.In these rare instances,I explore further with the client to find a way forward.In the majority of cases a way forward is usually discovered and it may be something such as a repressed memory from the past which needs to come to the surface and healed that is the cause of the feeling.Where it is clear there is no way forwards at that time I suggest the client returns when they are ready to heal.If the client feels that hypnotherapy may not be for them then I am happy to recommend they look at the CNHC website and investigate alternative therapy methods. Hypnotherapy can be successfully used during pregnancy with care and can provide an effective way of relaxation, calming and nurturing and letting go of any stress and worries, helping you to enjoy pregnancy and look forward to that exciting event in your family’s life. Some hypnotherapists specialise in Hypno-birthing techniques and this highly specialised form of hypnotherapy can be used to provide an effective method of pain control via relaxation techniques and acceptance of the moment. It is an established fact that smoking during pregnancy prevents your unborn child from having the best start in life. If you have been unable to give up smoking using just will power alone, hypnotherapy is a very safe natural way that you may like to consider to stop smoking during this very important time and a very good alternative to nicotine replacement therapy and vaping both of which contain nicotine which is one of nature’s deadliest poisons. Although there is no established empirical body of scientific evidence to conclusively prove that Nicotine therapy or vaping poses a clear danger it is not without risk , this is something the NHS has a definite view on which you can see by clicking on the link which takes you to the NHS information about Smoking and Pregnancy. If you are a smoker it is most probably likely that your unborn child’s safety is a prime motivator to do anything you can to look after your unborn child and giving up smoking will benefit you both now and in the future. If you can give up smoking naturally without subjecting your unborn baby to potential risk, once your child is born you will be doing your bit in preventing it from breathing in secondhand smoke and that has got to be good. If you wish to give up smoking using hypnotherapy Trevor would recommend that you first talk to your GP or Midwife as regards any contraindications they may have in making a referral particularly in the early stages of Pregnancy. If you are considering hypnotherapy to help you with a serious condition such as depression or a long term condition such as Chronic pain, Fibromyalgia, ME/CFS, MS, it is very important that your condition should have been thoroughly investigated and recorded by your GP prior to you seeking an alternative and complementary method of support for your wellness. Before taking the step to natural therapies it may be a good idea that you discuss the idea with your doctor as a compliment to the medication or treatment your doctor has already prescribed. A growing number of GP’s are both very aware of the benefits of hypnotherapy in skilled hands and in Trevor's personal experience writing to client's GP’s, most are very supportive. As a matter of course and with his client's permission Trevor writes to all of his client's GPs in the strictest confidence to notify them that he is working with you and for it to be recorded on the patient notes. This gives your GP time to raise any concerns which may be contraindications to hypnotherapy treatment. e.g. Serious heart conditions, epilepsy, stroke etc. In your consultation and treatment programme with Trevor, at no point will he be advising you to discontinue the medication you are prescribed by your doctor as your GP has prescribed this for a perfectly good reason. Where the experience of pain is concerned, physical pain is experienced for a reason and the cause needs to be determined by your GP/health care specialists and your condition monitored. Although the subjective experience of pain is an unpleasant one, when you experience it your brain is doing its job properly in letting you know that something is wrong. Pain is a protection and survival mechanism whose purpose is to bring your attention to do something to protect that part of the body that the brain thinks is under attack or damaged. In recent years there has been quite a large shift in the understanding of how and where pain is created. Modern pain science now accepts that pain is sent from the brain not the other way around of how we have thought about pain for years. Pain is not a direct input from the body.Pain is created in the brain and not a passive by-product as a sensation that arrives from the body as a result of being injured in some way. Sufferers of Chronic pain conditions and conditions such as ME/CFS, MS,FM, where there appears to be no remedy to cure their condition may find the scientific definition of pain difficult to relate to because there are no visible internal or external signs of damage, just what seems to be unending pain that the doctors cannot find a cure for.These conditions are recognized by medical science as being centred around the nervous system.The job of the nervous system is to let us know something is wrong and since the nervous system is very complex,the real situation is that as yet,medical science has not sufficient knowledge to understand what is really happening and provide a long term cure. In the control of pain, hypnotherapy can be an excellent way of bringing some respite from pain for various unspecified amounts of time and can be used as a good compliment to any medication that you are already working with.Hypnotherapy for pain management has been used for thousands of years right back to ancient times where there are records of procedures carried out by tribal shaman.In the history of hypnosis, surgeons such as James Esdaile carried out hundreds of surgical procedures in the nineteenth century before the advent of anaesthetics, operating on patients using the deepest state of hypnosis known as somnambulism. Esdaile is thought by many to have been a pioneer in the use of hypnosis for surgical anaesthesia in the era immediately prior to James Young Simpson's discovery of chloroform. Trevor has worked with people with chronic pain conditions for a number of years and has successfully taught them pain management techniques centred around EFT techniques, dissociation and relaxation that they can invoke at will. Pain management techniques are very simple and relatively quick to learn and can and do work for a lot of people but it may not work for everyone. Many of the people who Trevor has worked with have benefited and have been sufferers of both moderate to severe pain and short term and long term conditions. There are some exceptions were it is inadvisable to use hypnosis where certain medical conditions exist and where there is an inability on the patients part to focus.These are known as a contraindication. Hypnosis is not suitable for use with very young children. Hypnosis and other mind based therapies such as BWRT, EFT and NLP can give you a set of keys to unlock the prison of your mind, so whatever problem or challenge is holding you back or whatever goal you are looking to achieve, one thing you can be sure of is that mind based therapies can help you make those changes. All you have to do is to be willing to pick up the keys and try the locks until the door to your new pathway opens. So why should you choose Hypnotherapy? Hypnotherapy has a very long track record of quite remarkable personal transformations for millions of people the world over who have taken the bold step by making a choice to improve their lives using the intervention of hypnotherapy where perhaps previously they were stuck and where nothing else had proven effective in helping the make the changes they wanted in their lives. I have had clients who have quit smoking with hypnotherapy where nothing else worked for them, whether it was gums, patches ,E cigarettes etc. There is so much evidential testimony available for people to find for them selves. Hypnosis is even used by the medical profession in some situations such as hypno-birthing or pain management. Hypnosis is also used by the dental profession too to assist in the reduction of anxiety in dental treatment. This is an area of special interest to me as a former needle phobic patient who wouldn't go near a dentist for fear of injections.Happily this is something I put behind me years ago and I now happily help clients beat their fear needles in just one or two sessions. In the great majority of cases, treatments can be simple and straight forward, often being resolved in just one or two sessions which can often be much faster than other complimentary therapeutic interventions. Perhaps you may want help to eliminate a fear of flying for example, or get a better night’s sleep or help quitting a bad habit that you've wanted to kick for years such as smoking or nail biting. Maybe you crave life changing enhancements such as improvements to your self-confidence, more motivation to succeed or improved sporting performance, quitting Smoking or losing weight. 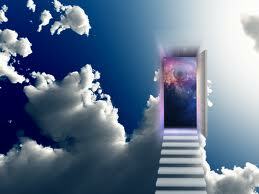 Hypnotherapy is a very versatile therapeutic tool, proven to work across many different areas of the human condition. There is a wealth of evidence to support that hypnotherapy is very effective where other methods fail. Hypnotherapy has many, many success stories and can help with this and much more. You can read about some of my client’s success stories on my testimonial page. It works through with intervention of a skilled professional therapist working with you the client whilst you are under hypnosis and by the hypnotherapist making positive suggestions to you whilst you are guided into a relaxed hypnotic state. Whilst is this state the therapist makes changes at a subconscious level which is where the therapist can address the subconscious mind and make beneficial changes in the minds programme. In simple terms, it is done through the use of suggestion therapy whilst you are in a hypnotic trance, nice and easy and relaxing, using just the gentle sound of my voice guiding you down into hypnosis. No swinging pendulums or swirling patterns or flashing lights to disorientate and disarm you. It is a perfectly safe process without the need for medicinal drugs and with no harmful side effects. Whilst you are in a hypnotic trance this is where you will be in your most suggestible state and this allows me to communicate directly with your subconscious mind where the new beneficial suggestions may be accepted and acted upon. The experience is very pleasant, it’s rather like daydreaming. During Hypnosis beneficial new thought patterns are laid down that will help you overturn existing negative thought and behaviour patterns to make the improvements you need. Although you will hear the sound of my voice and be able to take instruction it is quite common for clients to have no recollection of the passing of time or the recollection of the words. This is because the subconscious is being directly addressed. Once the subconscious has accepted the new beneficial thought patterns this results in you feeling better, more empowered and in control of your life. These changes can last a lifetime and there's plenty of well documented evidence in print and on-line to prove that this has been the case for many people over many years. Ok but what’s wrong with just using willpower alone? How many times have you heard someone say that they can’t lose weight or give up smoking because their willpower is just not strong enough? So by improving and changing things at a subconscious level by healing the past and helping the subconscious to reach an understanding that the past is gone and that it can let go of anxiety and repression, by removing emotional blocks and limiting beliefs through the use of hypnotherapy the individual can make the positive improvements that they want in their lives. In complex behavioural situations, the root cause may be buried at such a deep level that using willpower and conscious thought alone will never resolve the situation completely and as mentioned in the first paragraph the individual simply isn’t aware of what the trigger or initial event was to cause them to be scared of flying or be afraid of having injections, for example. 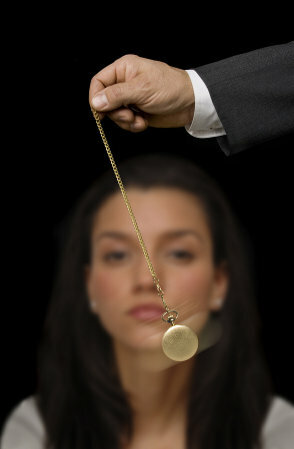 In these types of situations hypnosis can be used to take a person back to the initial sensitizing event under hypnotic regression, where the therapist can work with hypnoanalysis with the client to deliver effective treatment to resolve old issues, heal the past and overturn the fear or phobia so the person is no longer held back by those limiting behaviours that often result in panic. Hypnotherapy really can be used to deliver effective treatments with positive outcomes, more rapidly in lot of situations where other interventions simply don’t produce the results within the same time frame, or in some situations, where no improvement is ever made at all. How is a fear or phobia formed? Lets create an example of how a fear of swimming or water might be created. Lets say that you live in the UK and like many adults you enjoy the beach and being by the sea,but you just cant bring yourself to go swimming in the seas around our coastline,even though it can be quite safe to do so. When you are a very young child you experience a traumatic sensitizing event where you are so very scared by seeing a great white shark, octopus or giant squid, perhaps on TV or in a zoo and it really terrifies the very young impressionable you so much that you just can’t bear to think of it without becoming very upset because it’s really so horrible and so scary and you think it’s the monster that’s going to get you! This emotion to a young impressionable mind seems so huge and so real and frightening as the imagination runs away with itself. it’s as if you've actually experienced the event and the fight or flight emotion kicks in. As time passes you forget about that original event as it becomes a distant blurry memory, but that repressed thought carries with it all the horrible unpleasant heightened emotions experienced at the time of the original event. And even though you have carried that fear of going in the sea to swim for years you maybe can’t even remember why…. and now as an adult, this original experience is causing you to experience more and more frustration as that fear and anxiety kicks in every time you think about going swimming in the sea.. Every time you try, you just can’t go anywhere near the sea, not even to dip your toe in the ocean..And it is something that has followed you from childhood into later life. It is a repressed subconscious memory that triggers an emotional experience that manifests itself as blind panic any time the thought enters your mind of swimming in the sea around our coastline, even though your logical minds tells you that it is so remote that you would encounter one of these creatures in the seas around the UK . The good news is that this kind of fear or phobia can quite often be completely resolved using hypnotherapy. These memories can be accessed by using hypnotic regression techniques and worked with to overturn the original sensitising emotional event. Some of the memories may be the recollection of real events whilst others may be false or just misinterpretation as in the illustration above. You mentioned the words subconscious and subconscious mind. What is the subconscious, is it the brain? When you think of the subconscious mind you might think of it as the brain. If you do it would be quite incorrect. The brain is not the mind, but the brain makes up a part of the mind. The mind uses the brain to carry out its functions as required. The conscious mind is used to take in input through all five human senses and interprets this input. It then sends these interpretations to the subconscious mind for processing. The subconscious looks after over 80% of our body’s functions; it governs all the automatic functions of our bodies such as breathing, pumping the blood around the body as well as regulating the nervous system to control such needs as letting us know when we are hungry and need to eat or are too hot or too cold for example. The subconscious is the base of our emotions. All of the emotions we feel are generated by our unconscious mind at an unconscious level, sometimes we may experience conflicting emotions and the strongest one will always win. The subconscious is also the base of our imagination which can either work for us or against us depending on our disposition. Imagination will always overcome willpower because in any battle between the conscious reasoning part of our minds and the subconscious mind with its highly suggestible wild imaginings, neurosis, fears and phobias the subconscious will always win. As mentioned above, the subconscious can sometimes misinterpret events. The Scary Monsters under the bed syndrome, our irrational fears! The subconscious mind stores habits. This is the process of learning; and everything we do is a process of repetition and experience, it is how we learn. What is taken in by the conscious mind is processed, filtered and stored in the unconscious mind both to become part of our basic programme. As rational logical human beings we all go through a process of learning stages that take us through the cycle of unconscious incompetence to conscious incompetence…… then to conscious incompetence……………., conscious competence and unconscious competence. Once we go through these stages an activity becomes a habit such as smoking for example which becomes so deeply ingrained that the smoker believes they are unable to stop the habit. Unlike the conscious mind the subconscious does not reason and blindly accepts information presented to it at face value unquestioningly. It will direct its energy to wherever it is directed to and this could be for good or ill because the unconscious mind just does not have a way to make judgements it just follows its programmed routines habits and emotional responses. It simply carries out instruction without thinking about it. It is therefore open to suggestions made to it. And so we can start to see that it is possible to overturn the current programme and unlearn a habit or emotional response and replace it with a new one. Did you ever see a hypnotist make someone forget they had ten fingers or eat an onion and believe they were eating an apple or put their hands in a bucket of ice and feel no discomfort? Watch Paul mc Kenna do just that here in this short video clip which explores the versatility of the hypnotic state. If you found that video interesting, you may want to watch part two which explores how hypnosis can help in clinical situations. Are there any unpleasant side effects to hypnotherapy? By and large, no, although it is not unknown for people who have been suppressing difficult emotions or experiences for years to have them bought to the surface during hypnosis and start to recall the emotional responses as if they were happening now. This may result in some tears and may sometimes be difficult for the client to have to deal with such a sudden huge rush of emotions. This is known as a spontaneous abreaction and this is something that your hypnotherapist will have talked about with you in advance of the hypnosis treatment, at the consultation stage, where lots of questions about your past history are asked. Providing that information has been bought to your therapist’s attention and you have an awareness of the possibilities of abreaction, the effects may well not come as such a surprise if and when it may happen. If though those past experiences have not been disclosed, it may cause alarm for some people, but it is important to understand that it is past experience and emotions, and only with your consent can it be worked on with your therapist to be let go off. When abreaction happens it is your subconscious minds way of letting you know that you need help to deal with those past issues before you can move on. And that may come as a surprise to you if you haven’t bought those suppressed experiences and emotions up for discussion at the consultation stage! Not everybody wants to talk about their past. It is important to understand here that rare issues like this may actually temporarily prevent you from making the changes that you want in your life without dealing with those areas first and healing the past and letting go of it. Unsurprisingly the issue that the client went to see the therapist for in the first place may not be resolved until the repressed emotions are healed and released. I've heard that sometimes hypnotherapy just doesn't work? In the situation where suggestion therapy does not always work it is because of a factor which is known as secondary gain where the subconscious rejects the suggestion because it perceives that there is still a benefit in running an old behaviour programme which outweighs the benefits of the new suggestion. So, for example the smoker who initially started smoking to make them feel more confident and who no longer has that original primary gain… but who now has a secondary gain believing smoking not only helps with confidence but also helps them relax and keep the lid on other areas in their lives such as coping with stress, loneliness or chronic pain. Deal with those issues first and the main therapy will be a success. When secondary gain occurs this is usually a good indicator that something else unresolved is preventing the suggestion therapy from taking root when it appears that the suggestion isn't working. It’s not that it’s not working; something else is standing in the way. Some people will understand this and be patient enough to want to work with this with their therapist so that they can release the past and let go in order to heal themselves and move on in their lives. Some people though it has to be acknowledged,even though they may have had an explanation at the outset that change often takes time, get frustrated and despondent that the magic transformation does not appear like the rabbit out of a hat. What needs to be understood here is that our fears, phobias, neurosis' and addictions often form over many years and are an entrenched and often irrational part of our thinking and behaviour which is why they cause such frustration. Now just like when we go and see a doctor for an illness or problem, if it has a complex background, the first diagnosis may well not turn out to be the last and sometimes medication may not work in the way in which the GP prescribed. There may be unexpected side effects that were not anticipated and so a period of trying alternative medication may need to be tried until the right medication starts to work. In any case, most GP's will tell you that you need to allow at least six weeks for it to be determined how and if the medication is right for you. Also as a caveat, it must be understood to that your doctor doesn't always get it right either and hypnosis can sometimes be no different but all one needs to be is patient and willing and the results often come. Only in rare circumstances will hypnosis completely fail and it is usually because the client is unable or willing to engage on all the levels that are required to work through old experiences and traumas and let them go. When they do, the past dissolves and the healing takes place. Hypnosis does have a very good track record with plenty of evidential proof easily sourced from people who had excellent results and changed their lives for the better. Hypnotherapy can work in so many different ways and sometimes it seems the most incredible things can be achieved by using hypnosis. The hypnotic state can be used to put a person in such a deep trance where miraculous things like open heart surgery have been performed without anaesthetic. This was actually the subject of a BBC programme several years ago on alternative medicine. Hypnotherapy has been used to help people to resolve difficult emotional issues or overcome addictions or to help individuals cope with managing pain, improving memory, getting over fears and phobias, losing and managing weight, quitting smoking, sports and business motivation. The list of conditions, habits and neurosis that Hypnotherapy can provide effective treatment for is almost endless. For further information, please go to my Hypnotherapy treatments page. It's important to me to build a good relationship with my clients, which is why I'm happy to tell you a bit about myself and my background. You can read more about this on the why choose Trevor Wales? page. Perhaps it’s time for you to try a different approach? So lets talk ! Why not give Trevor a call and have a free initial consultation and see how Trevor's hypnotherapy services can help you. 01726 69703.